​​​​​Grandparents, friends, or neighbors who are worried about a child's speech and/or language development may hesitate to bring it up for fear of upsetting or offending a parent. While raising any concern to parents about their child is difficult, it is in a child's best interest to have any speech and/or language issues identified and treated as early as possible. Below are some do's and don'ts for talking respectfully and productively about a potential communication delay. 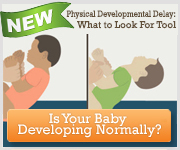 DO learn developmental milestones. Before sounding the alarm, refer to a list of speech and language milestones by age. Also look at the early signs of speech and language disorders. There may be no reason to worry. Share the milestones and your concerns with parents, especially if a child is not doing what is expected. DO know that not all children are the same. At 12 months, one child may be saying one word while another may be speaking 10 or more. This variability is typical—not every child has the same communication skills at the same age. The developmental milestones account for an expected range in skills. If a child is learning more than one language, be sure to count words in both languages. His or her development may be different than children who are only learning one language. Also, note that learning more than one language does not cause or worsen speech or language delays. DO be sensitive when raising the issue. Try saying, "I saw a story on the news about children's speech and language development…," or phrasing your concern as a question, e.g., "What do you think of Tommy's speech? Has he been using new words?" DO share your family history of speech and language disorders, if known. Some disorders have a strong genetic component (a good example is stuttering), so this is important information to share. DO tell parents to ask for professional assistance. Encourage parents to set up an appointment with their child's doctor to discuss concerns. If concerns are confirmed, the doctor will make a referral for a speech and language evaluation. If the doctor is not concerned but the parents still are, the parents should trust their instincts and get a second opinion or have their child evaluated by a speech-language pathologist. A certified speech-language pathologist may determine there is no need to worry, and then the result is peace of mind. However, if there is a speech and/or language delay, it can be treated in a timely manner. DO provide resources to find help, if the child's doctor has not made any referrals for a speech and language evaluation. If the child is less than 3 years old: Parents can access their state's early intervention program. for a free evaluation. See What is Early Intervention?. If the child is 3 years or older: Parents can contact a local elementary school and ask to speak with someone who can help and have their child evaluated — even if their child does not go to that school. This is a free service provided by local school districts. For the assistance of a private speech-language pathologist: Search the ASHA ProFind database. DO be sensitive to the family's values and norms. Individuals handle concerns about developmental delays differently based on their background, family values, and norms. There may be different approaches to how children are being raised. Be mindful and respectful of those differences as you consider talking with people outside of your family (e.g., neighbor, friend). DON'T compare siblings to each other. An older child may have been advanced for his or her age, resulting in concern when the second child is developing in a typical way. Again, look more broadly to expected developmental language milestones. DON'T place blame. Parents don't cause speech and language disorders. It is inaccurate and hurtful to tell a parent he or she should have done something differently. DON'T assume treatment is too expensive. Services may be free through the state's early intervention program or school system, offered on a sliding scale, or may be covered in part or full by insurance. There are options for families. DON'T "wait and see" if the child outgrows the problem. This is probably the most important point. Speech and language delays are highly treatable. The best outcomes occur when a child is seen by a professional early. Ideally, children will be treated long before entering kindergarten—and even before age 3, when children are in their most rapid period of development. Acting early can improve academic and social success, so speak up early. Contact the American Speech Hearing Association (ASHA) Consumer Action Center at 800-638-8255 or contact the ASHA National Office.